NEW YORK PUNK THAT’S FAST, LOUD AND FUN! Drawing influence from the likes of Blondie and The Ramones, Green Day and Paramore, Bad Mary has created their own strain of punk that takes you back to New York in the 70’s but with a modern vibe. Following on from their critically acclaimed debut, Better Days, released in 2013, the high octane four-piece group – led by powerhouse lead singer Amanda Mac, Mike Staub (bass/vocals), Bill Mac (drums) and David Henderson (guitar) – split their latest blasts of infectious, in your face songs into two driving EPs, Killing Dinosaurs (2015) and We Could Have Saved the World (2016). The band makes their home on Long Island, New York and have played classic venues such as Arlene’s Grocery, Bowery Electric, Trash Bar, and Highline Ballroom. Bad Mary were in the lineup of Warped Tour when it hit Jones Beach in 2015, the Liberty Music Festival in Philadelphia in 2016, and have scored airplay on U.S., U.K. and Australian radio. 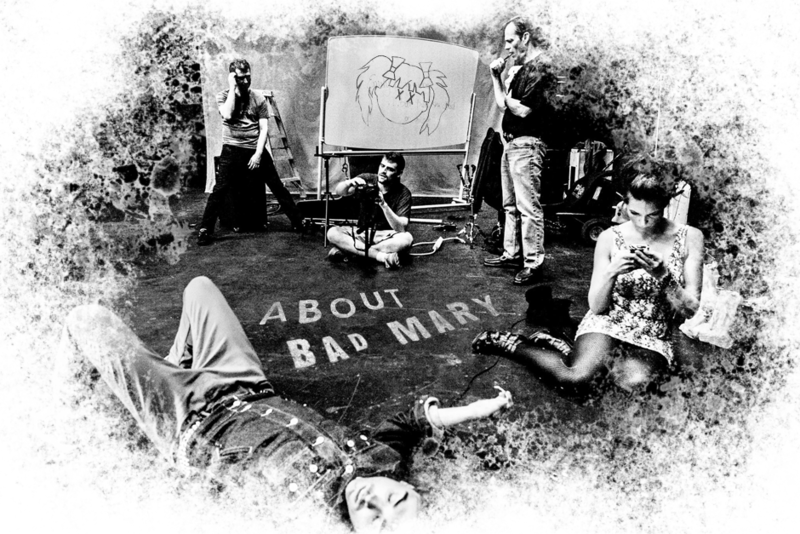 Bad Mary began as a cover band in 2009 at Hofstra University, where David is a professor. Amanda and Mike were students there, and after they graduated, the band decided to continue playing music together. After a few line-up changes, they recruited Bill Mac, Amanda’s dad, on drums and began to craft their own songs in 2012. Following the success of their self-produced and basement-recorded first release, their next two EPs were recorded and mixed by Matt Storm and Francisco Botero at Studio G in Brooklyn and mastered by Fred Kevorkian, who has previously mastered for The White Stripes, Iggy Pop and Debbie Harry. They are currently working on songs for their next EP, coming in early 2017. Another great, raw, female-fronted band from New York City. Only this time the quartet is totally aggressive 70s punk. Think HBO’s Vinyl, with a pretty but powerful vocal edge from lead vocalist Amanda Mac.